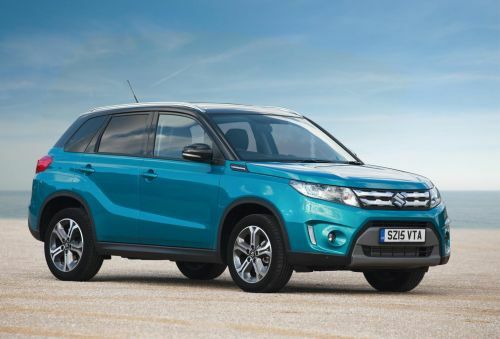 Vitara is also the first compact SUV to earn five stars in the more rigorous 2015 Euro NCAP testing programme which further reinforces the exemplary level of safety of the new model. The new Vitara’s passive and active safety systems are designed to intelligently anticipate and react to potentially dangerous situations with an excellent level of protection. One of its major safety features is Total Effective Control Technology which is a concept for occupant protecting impact absorption and low weight developed by Suzuki. Extensive use of high tensile steel and computer aided engineering technologies make the body light, highly crashworthy as well as fuel efficient. Suzuki paid particular attention to child safety in accordance with latest European legislation and pedestrian protection received the highest score amongst its competitors thanks to bonnet shape and new structures for the cowl top and wipers. The bumpers also provide good impact absorption to lessen the degree of harm if the car comes into contact with a pedestrian. Vitara is on sale in the UK from £13,999 for the SZ4 1.6-litre petrol model with two wheel drive and is available with ALLGRIP four wheel drive as an option.